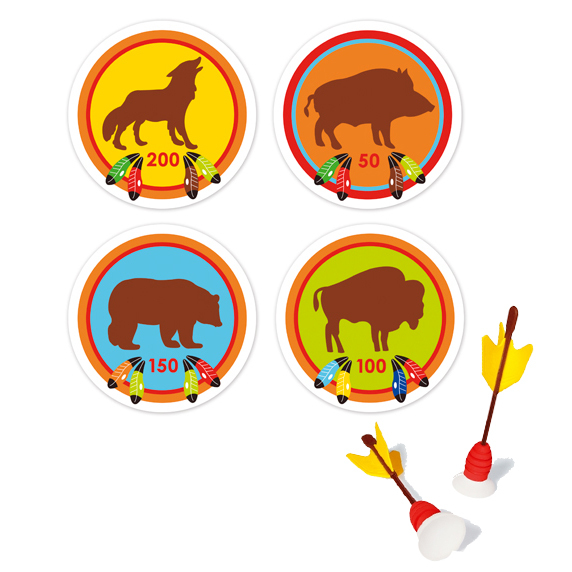 Go on a wild animal hunt, just like the Indians! 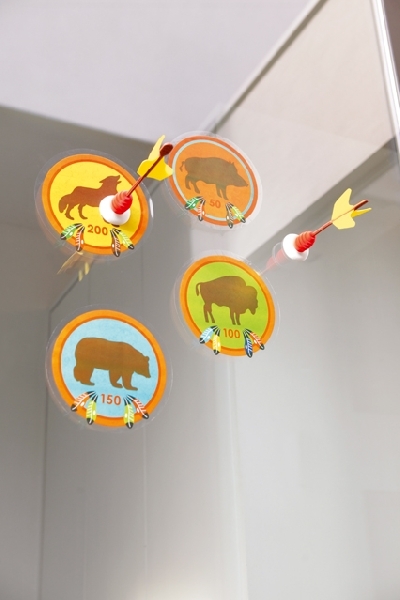 Children can play this fantastically unique darts game with 2 arrows and 4 static window stickers inside and outside. 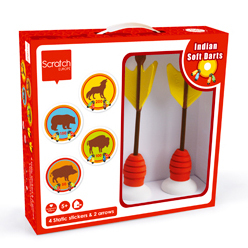 The arrows stick on any window or other smooth surface and do not leave any marks. If sticker adherence diminishes due to dust accumulation you can simply rinse them off with clean water.